After 15 years with GE and GE Capital, Burianek took his Six Sigma and IT background to an entirely different field—health care—when Humana recruited him to join its consulting practice. While at Humana, he held leadership roles in several departments: consulting practice, clinical services, operations including claims/critical inquiry/correspondence/grievance and appeals units, and clinical quality. 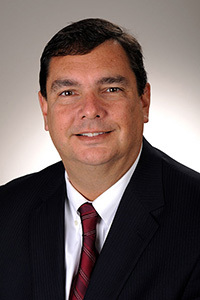 His work as the vice president of clinical quality led to Humana being recognized as a leader in Medicare quality designated by the Centers for Medicare and Medicaid stars program. In 2016, Burianek was recruited to be Anthem’s vice president of corporate clinical quality management. He identifies the most rewarding part of this role as helping others improve their health. Anthem has over 40 million customers within its family of health plans.